Hyderabad: The Chicago State University of the United States and Telangana University in Nizamabad have signed a MoU to facilitate student and faculty exchange programme between both the universities. The MoU was signed by Chicago State University vice-president Dr David Kanis and Telangana University incharge vice-chancellor C. Parthasarathi in the presence of Chief Minister K. Chandrasekhar Rao and Nizamabad MP K. Kavitha at the CM’s camp office in Begumpet on Sunday. Under this MoU, TU students will get admissions into Chicago State University directly without appearing for examinations like GRE, TOEFL etc. 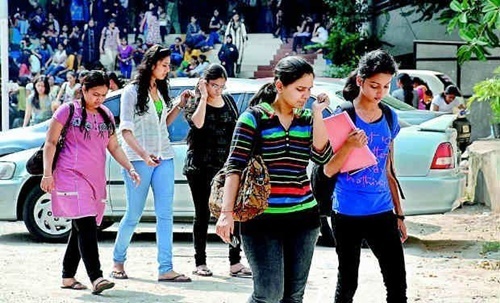 As many as 75 students from Telangana University will be offered admissions every year. Initially, admissions will be given in Computer Science and other technical education courses. This will be extended to Pharma, Nursing, Chemical Technology courses etc in the coming years. Dr David Kanis said the MoU was possible because of the initiatives taken by Nizamabad MP K. Kavitha and the policy will help provide world-class education to youth in Telangana.